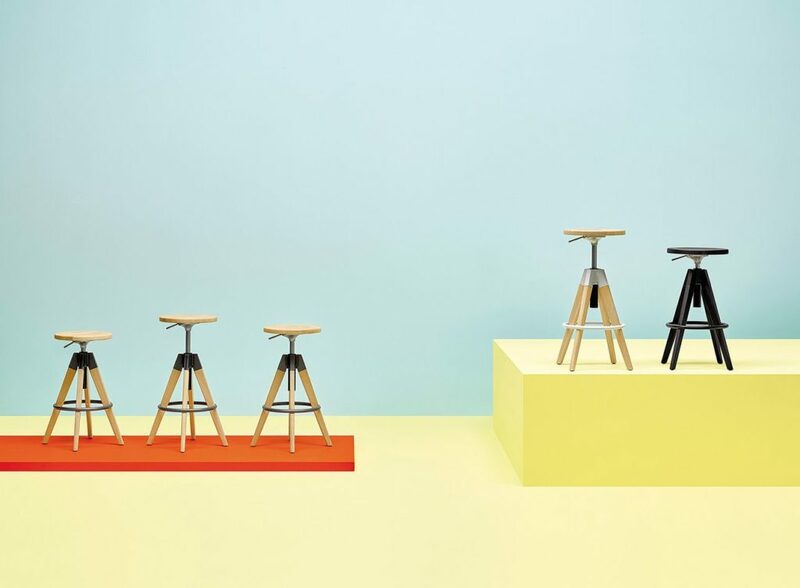 Arki-Stool joins Arki collection which reviews the industrial look in a functional way. 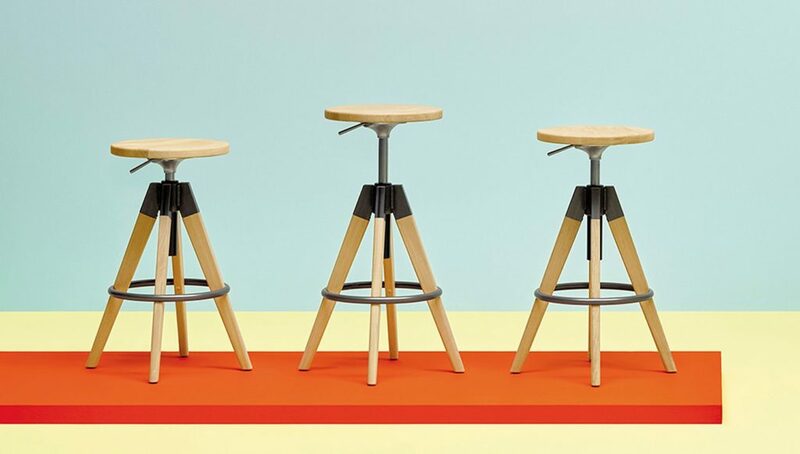 A stool with bleached or black stained solid oak seat and legs, swivel and gas lift device. 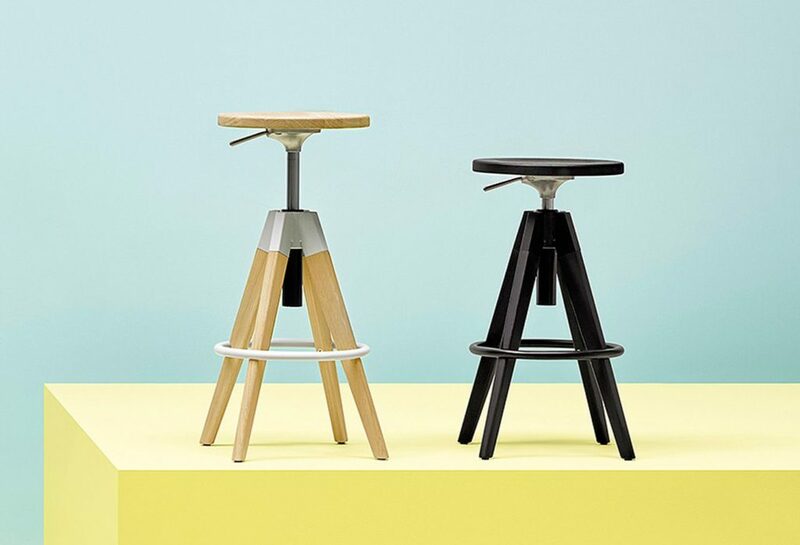 A steel footrest on the legs creates a nice contrast to the naturalness of the wood.